Since the announcement late at night by President Obama of the death of Osama Bin Laden during a special broadcast to more than 56 millions viewers, Americans have been celebrating the death of one of their worst enemies and the success of a very daring mission. Even though administration officials claim that the Navy SEALs were not given the specific order to kill Bin Laden, that 2 options were on the table: Capturing him if he was willing to surrender or killing only if he resisted and threatened the life of the commandos, the reality is probably that capturing him alive was not the option elected by Obama and his team. A quick assessment of the political risks associated with either 1) capturing or 2) killing Bin Laden will help explain why..
1) Capturing Bin Laden would have created a lot of potential problems for the Obama administration, who would have been forced to decide where to detain him (most likely in Guantanamo prison that ironically Obama had promised to close with one year of his election), how to handle him (how to treat such prominent terrorist leader? ), and how to try him (civilian or military courts)? Every aspect of the treatment of Osama Bin Laden would have likely been scrutinized and criticized both at home and abroad. It would have turned very fast into a media circus and a political disaster for the Obama Administration. Worse, at a time where Al-quaida was loosing steam and significance in the face of the Arab ‘spring’, it could have also galvanized his followers to rally behind him and commit more terrorist attacks as well as taking hostages in multiple attempts to ask for their leader’s release.. It does not look like a great scenario. In short, Osama Bin Laden in prison would have been an open and festering wound for America. 2) On the contrary his death spared Obama from having to make those highly sensitive decisions and to manages those difficult challenges. It also help bring political and emotional closure to one of the most painful chapter of American recent history that started with 9/11. 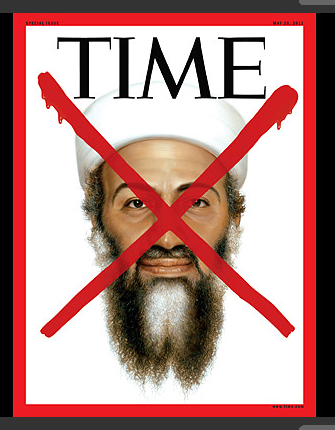 However, for sure dealing with Bin Laden was not without risks as we can observe from the various reactions around the world: Criticism of the treatment of Bin Laden’s body, conspiracy theories are also already emerging about his Bin Laden’s death, showing picture of his dead body, making him a martyr of his cause,.. However when weighting the 2 options carefully, it becomes clear that the second one i.e. Killing Bin Laden, is the ‘better one’ for the Obama Administration as it bring the highest potential for short-term and long-term benefits while provides the space for more effective risk management to minimize the political risk as much as possible.. This entry was posted in Political Risk, Risk Assessment and tagged Political Risk, Risk Assessment. Bookmark the permalink. ← HRM Awards 2011, What is ‘Hot’ and what is ‘Not’.